Resources are limited by the package you choose. You can upgrade or downgrade your resources at any time. The trial version is unlimited. Resource can be created in a number of ways using one of the following methods. Only Resources with rights can create and schedule resources. 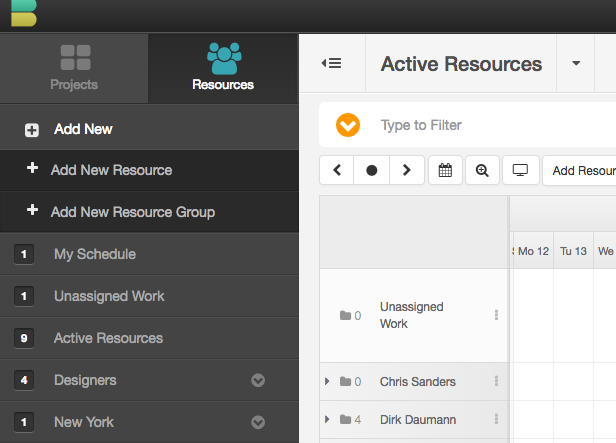 When a resource is created they will be available to book and be available in your “Manage Resources” page. Using the sidebar is probably the most common way of adding new resources. Follow the steps below to add a new resource from the sidebar. 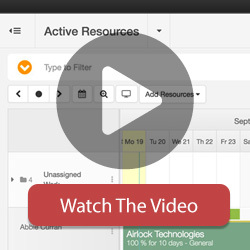 Follow the steps below to add a new resource from the “Manage Resource” Page. 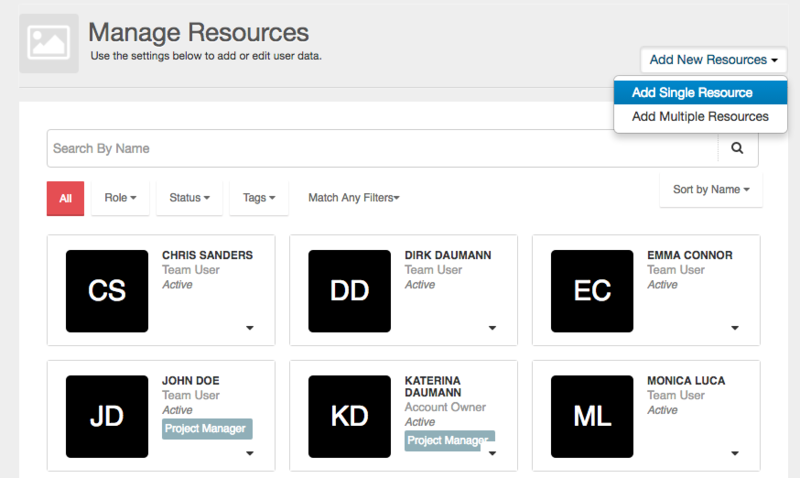 You can use the API to create new Resources in Hub Planner. Please refer to the API section.